IOCL Tinsukia Recruitment 2018.Indian Oil IOCL has released a notification for the recruitment of Trade Apprentice and Technician Apprentice vacancies.Check the eligiblity and notification prior to apply for the positions. 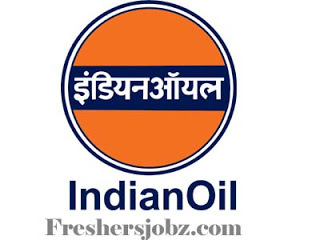 General Manager (HR), Indian Oil Corporation Limited, Assam Oil Division, P.O. Digboi -786 171 (Assam). 1. Indian Oil has Refineries at Guwahati, Digboi, Bongaigaon (all 3 in Assam), Barauni (Bihar), Vadodara (Gujarat), Haldia (West Bengal), Mathura (UP), Panipat (Haryana) and Paradip (Odisha). A candidate can apply for apprenticeship in any one of the Refinery unit of his choice. 2. Option for exercising the choice of a Refinery unit has been provided in the application menu (on-line application portal) which shall open at 10.00 hours on 16/10/2018 and close at 17.00 hours on 09/11/2018. 3. Candidates meeting the prescribed eligibility criteria for a post, may visit the website www.iocl.com go to ‘What’s New’ > go to Latest Job Openings> go to Engagement of Apprentices under Refineries Division> select the link of the Refinery Unit, where they want to apply for Apprenticeship Training. The candidate must have an active email ID and mobile phone number which must remain valid for at least next one year. All future communication with candidate will take place only through website application / email / mobile phone. Applications submitted through on-line mode will only be accepted. 4. The candidate should have scanned copy of colour photograph and signature in jpg format (size not exceeding 50 KB) ready before applying on-line. The photo and signature in digital form will be required to be uploaded. After successfully applying/registering on-line applications, the candidates are advised to send the print out of online application form, duly signed by him/her, to the concerned authority, as mentioned in the table below, alongwith photographs and all supporting documents (as per check list annexed to application form) under self attestation, by ordinary post so as to reach us latest by 17.11.2018. 5. If Printout of online application is not received by AOD, Digboi Refinery by 17.11.2018, candidature of the applicant shall be summarily rejected.The candidates shall ensure that the printout of the online application is sent to the following address of Assam Oil Division (AOD), Digboi Refinery. Application of candidate submitting online application for one Refinery Unit and sending the printout of the online application to another Refinery Unit/location shall be summarily rejected.